General Information: This variety of a fig is loved around the world. 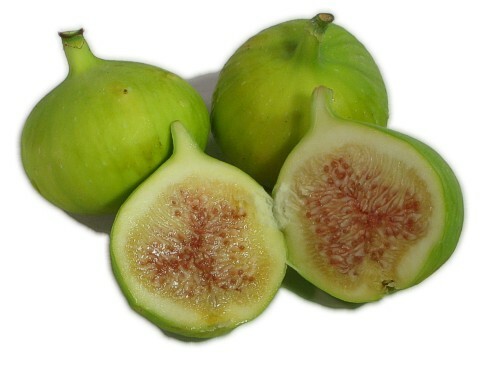 The Kadota fig is the American version of the original Italian Dattato. It is a small round fig with a green/yellow skin and a honey sweet center. It is thick-skinned and possesses a beautiful creamy amber color when ripe. Practically seedless, this fig is a favorite for canning and preserving as well as drying. Kadotas are available at the end of the fig season, but are worth the wait. The Kadota fig is truly natures candy. Applications: Delicious fresh or dried. It is a rich, sweet, all purpose fig and the most common canned fig. Well-adapted in the Southwest and drier areas of the South. Requires heat to develop its best flavor and texture.